Beirut (Arabic: بيروت‎‎ Bayrūt , French: Beyrouth) is the capital and largest city of Lebanon. No recent population census has been done but in 2007 estimates ranged from slightly more than 1 million to slightly less than 2 million as part of Greater Beirut. Located on a peninsula at the midpoint of Lebanon's Mediterranean coast, Beirut is the country's largest and main seaport. It is one of the oldest cities in the world, inhabited more than 5,000 years ago. The first historical mention of Beirut is found in the ancient Egyptian Tell el Amarna letters dating from the 15th century BC. Beirut River runs south to north on the eastern edge of the city. Beirut is Lebanon's seat of government and plays a central role in the Lebanese economy, with most banks and corporations based in its Central District, Badaro, Rue Verdun, Hamra and Ashrafieh. Following the destructive Lebanese Civil War, Beirut's cultural landscape underwent major reconstruction. Identified and graded for accountancy, advertising, banking/finance and law, Beirut is ranked as a Beta World City by the Globalization and World Cities Research Network. Several prehistoric archaeological sites were discovered within the urban area of Beirut, revealing flint tools of sequential periods dating from the Middle Paleolithic and Upper Paleolithic through the Neolithic to the Bronze Age. Beirut I, or Minet el Hosn, was listed as "Beyrouth ville" by Louis Burkhalter and said to be on the beach near the Orent and Bassoul hotels on the Avenue des Français in central Beirut. The site was discovered by Lortet in 1894 and discussed by Godefroy Zumoffen in 1900. The flint industry from the site was described as Mousterian and is held by the Museum of Fine Arts of Lyon. Beirut II, or Umm el Khatib, was suggested by Burkhalter to have been south of Tarik el Jedideh, where P.E. 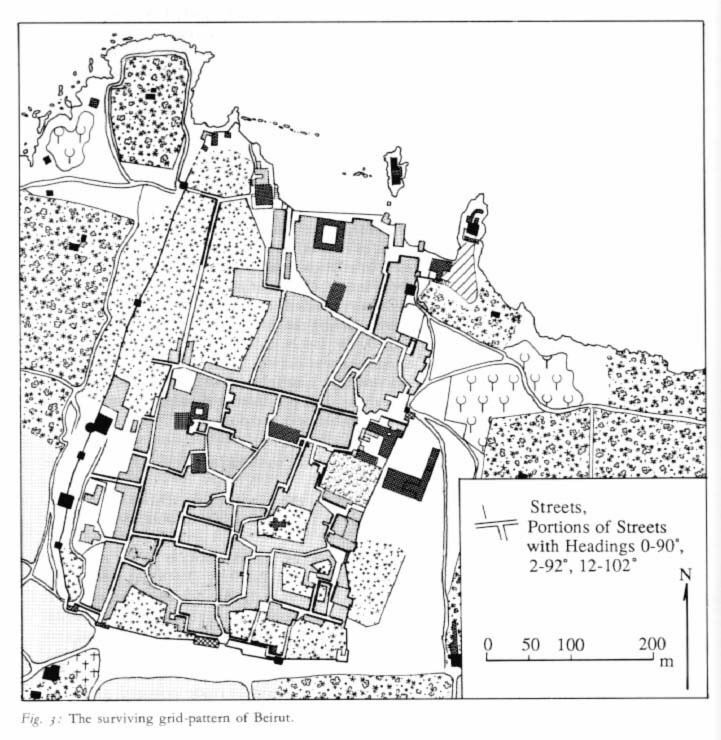 Gigues discovered a Copper Age flint industry at around 100 metres (328 feet) above sea level. The site had been built on and destroyed by 1948. Beirut III, Furn esh Shebbak or Plateau Tabet, was suggested to have been located on the left bank of the Beirut River. Burkhalter suggested that it was west of the Damascus road, although this determination has been criticized by Lorraine Copeland. P. E. Gigues discovered a series of Neolithic flint tools on the surface along with the remains of a structure suggested to be a hut circle. Auguste Bergy discussed polished axes that were also found at this site, which has now completely disappeared as a result of construction and urbanization of the area. Beirut IV, or Furn esh Shebbak, river banks, was also on the left bank of the river and on either side of the road leading eastwards from the Furn esh Shebbak police station towards the river that marked the city limits. The area was covered in red sand that represented Quaternary river terraces. The site was found by Jesuit Father Dillenseger and published by fellow Jesuits Godefroy Zumoffen, Raoul Describes and Auguste Bergy. Collections from the site were made by Bergy, Describes and another Jesuit, Paul Bovier-Lapierre. A large number of Middle Paleolithic flint tools were found on the surface and in side gullies that drain into the river. They included around 50 varied bifaces accredited to the Acheulean period, some with a lustrous sheen, now held at the Museum of Lebanese Prehistory. Henri Fleisch also found an Emireh point amongst material from the site, which has now disappeared beneath buildings. Beirut V, or Nahr Beirut (Beirut River), was discovered by Dillenseger and said to be in an orchard of mulberry trees on the left bank of the river, near the river mouth, and to be close to the railway station and bridge to Tripoli. Levallois flints and bones and similar surface material were found amongst brecciated deposits. The area has now been built on. Beirut VI, or Patriarchate, was a site discovered while building on the property of the Lebanese Evangelical School for Girls in the Patriarchate area of Beirut. It was notable for the discovery of a finely styled Canaanean blade javelin suggested to date to the Néolithique Ancien or Néolithique Moyen periods of Byblos and which is held in the school library. Beirut VII, or Rivoli Cinema and Byblos Cinema sites near the Bourj in the Rue el Arz area, are two sites discovered by Lorraine Copeland and Peter Wescombe in 1964 and examined by Diana Kirkbride and Roger Saidah. One site was behind the parking lot of the Byblos Cinema and showed collapsed walls, pits, floors, charcoal, pottery and flints. The other, overlooking a cliff west of the Rivoli Cinema, was composed of three layers resting on limestone bedrock. Fragments of blades and broad flakes were recovered from the first layer of black soil, above which some Bronze Age pottery was recovered in a layer of grey soil. Pieces of Roman pottery and mosaics were found in the upper layer. 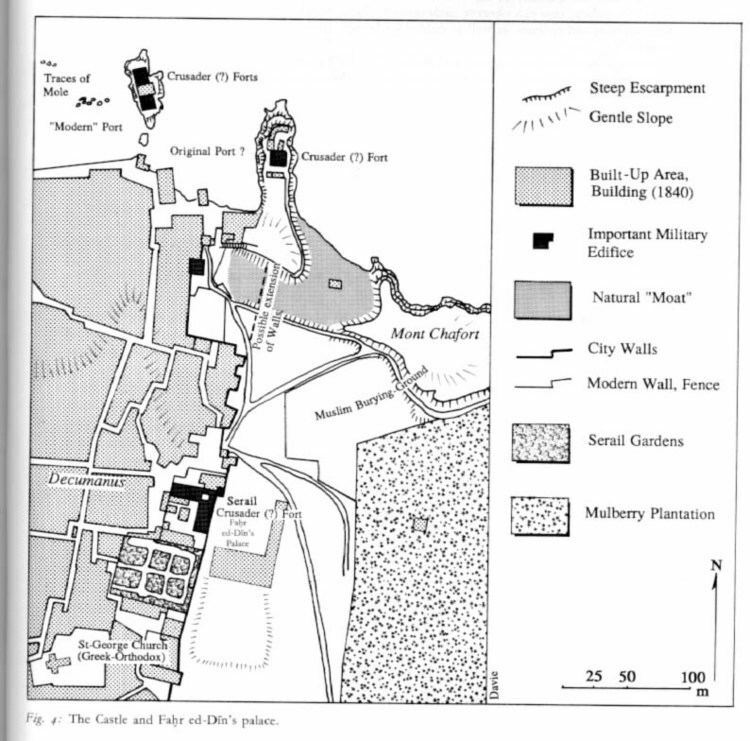 Middle Bronze Age tombs were found in this area, and the ancient tell of Beirut is thought to be in the Bourj area. The Phoenician port of Beirut was located between Rue Foch and Rue Allenby on the north coast. The port or harbor was excavated and reported on several years ago and now lies buried under the city. Another suggested port or dry dock was claimed to have been discovered ~1 kilometre (0.62 miles) to the west, in 2011 by a team of Lebanese archaeologists from the Directorate General of Antiquities of Lebanese University. 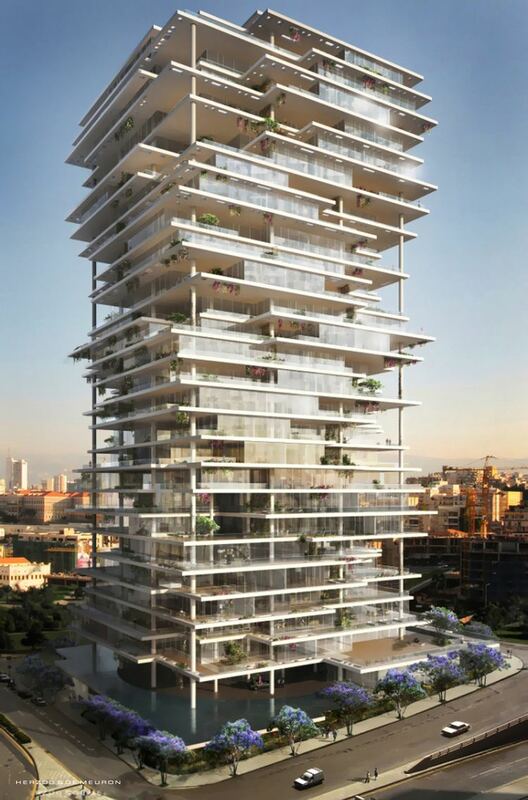 Controversy arose on 26 June 2012 when authorization was given by Lebanese Minister of Culture Gaby Layoun for a private company called Venus Towers Real Estate Development Company to destroy the ruins (archaeological site BEY194) in the $500 million construction project of three skyscrapers and a garden behind Hotel Monroe in downtown Beirut. Two later reports by an international committee of archaeologists appointed by Layoun, including Hanz Curver, and an expert report by Ralph Pederson, a member of the institute of Nautical Archaeology and now teaching at Marburg in Germany, dismissed the claims that the trenches were a port, on various criteria. The exact function of site BEY194 may now never be discovered, and the issue raised heated emotions and led to increased coverage on the subject of Lebanese heritage in the press. “The seven families of Beirut are the families who bonded among each other and made the famous historical agreement with the governor of the Syrian Coast in 1351 to protect and defend the city of Beirut and its shores, and chase the invadors and stop their progress towards it. Sinno is considered to be an old family in Beirut, descending from the Muslim Leader Tareq Bin Ziyad. Assessment of the demand for build-up space in the BCD has been done in reference to a number of macro-economic, demographic, and urban planning considerations at a time of marked need for new activity poles in the city, such as Souks, financial, cultural and recreational centers. The district's total area is 4,690,000 square metres (50,482,740 square feet), the majority of which is dedicated to residential space (1,924,000 square metres or 20,709,764 square feet). The Beirut Central District contains over 60 gardens, squares and open spaces. These spaces comprise landscaped streets, gardens, historical squares, pedestrian areas and sea promenades thus totaling to an area of 96 acres (39 ha) of open spaces. The central district is Lebanon's prime location for shopping, entertainment, and dining. There are over 100 cafes, restaurants, pubs and nightclubs open in the Beirut Central District, and over 350 retail outlets distributed along its streets and quarters. Beirut Souks alone are home to over 200 stores and a handful of restaurants and cafes. Beirut Souks are the Central District's old medieval market, recently renovated along with the original Hellenistic street grid that characterized the old souks and the area's historical landmarks along long vaulted shopping alleys and arcades. Solidere, the company responsible for the reconstruction and renovation of the district, organizes music and entertainment events all throughout the year like the Beirut Marathon, Fête de la Musique, Beirut Jazz Festival. However, the means of urban development in this particular area of the city was subject to much criticism and controversy. Rafic Hariri, who would later become prime minister, was the majority stakeholder of the company, which raises concerns of conflict of interest in the context of a public-private partnership. Many of the expropriations that have made the project possible have been made at land undervalued land rates, and partly paid in company share. Strict urbanization laws were put in order to oblige people to sell and not renovate themselves. Today, Solidere acts as a de facto municipality thus this quarter of the city is effectively privatized. It is for example forbidden to ride bikes on Zeituna Bay, a marina where many restaurants are located, and these laws are enforced by private security guards not national or municipal police. 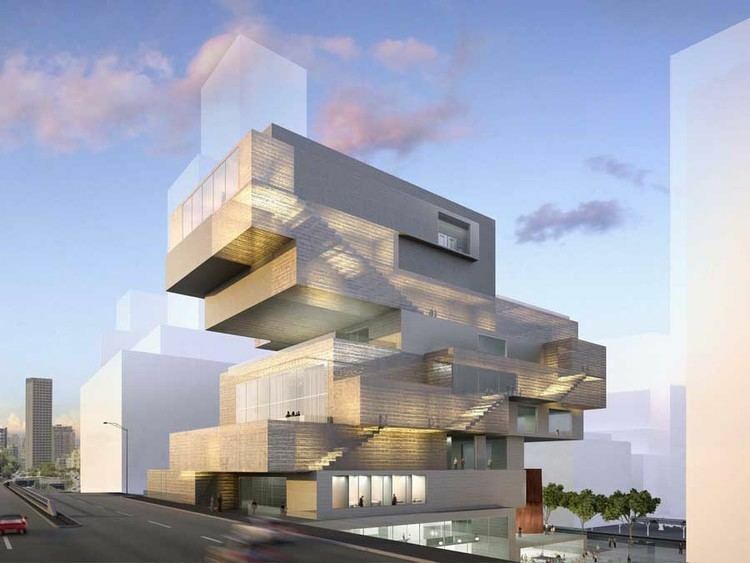 The project was also criticized for destroying some of the city's architectural and cultural heritage. "Among the hundreds of destroyed buildings were “the last Ottoman and medieval remains in Beirut” wrote American University of Beirut professor Nabil Beyhum in the Journal The Beirut Review in 1992. Much of the damage had been done through unapproved demolitions in the 1980s and early 1990s, bringing down “some of the capital’s most significant buildings and structures,” wrote UCLA professor Saree Makdisi in the journal, Critical Inquiry, in 1997.". Moreover, many of the traditional privately owned shops in the Beirut Downtown were replaced by luxury outlets and high-end restaurants that only few people could afford. And most of public spaces promised by Solidere since the start of the reconstruction, such as "The Garden of Forgiveness", a central park, and an archeological museum, remain unfinished until today, putting into question the actual benefit of the project to the population. Finally, the actual success of the project has recently been in doubt, given that large quarters of the BCD are today empty, due to strong military presence, the Nejmeh Square where the parliament is located is most frequently completely deserted, and the business located there have mostly moved. In an area dominated by authoritarian or militarist regimes, the Lebanese capital was generally regarded as a haven of libertarianism, though a precarious one. With its seaport and airport—coupled with Lebanon's free economic and foreign exchange system, solid gold-backed currency, banking-secrecy law, and favourable interest rates—Beirut became an established banking centre for Arab wealth, much of which was invested in construction, commercial enterprise, and industry (mostly the manufacture of textiles and shoes, food processing, and printing). The economy of Beirut is diverse, including publishing, banking, trade and various industries. During that period, Beirut was the region's financial services center. At the onset of the oil boom starting in the 1960s, Lebanon-based banks were the main recipients of the region's petrodollars. The Lebanese banking system is endowed with several characteristics that promote the role of Beirut as a regional financial center, in terms of ensuring protection for foreign capital and earnings. The Lebanese currency is fully convertible and can be exchanged freely with any other currency. Moreover, no restrictions are put on the free flow of capital and earnings into and out of the Lebanese economy. The passing of the banking secrecy law on 3 September 1956, subjected all banks established in Lebanon as well as foreign banks' branches to the "secret of the profession". Both article 16 of law No. 282 dated 30 December 1993 and article 12 of decree No. 5451 dated 26 August 1994, offer exemptions from income tax on all interest and revenues earned on all types of accounts opened in Lebanese banks. On the first of April 1975, decree No. 29 established a free banking zone by granting the Lebanese government the right to exempt non-residents' deposits and liabilities in foreign currency from: the income tax on interest earned, the required reserves imposed by the Banque Du Liban by virtue of article 76 of the Code of Money and Credit, the premium of deposit guarantee imposed on bank deposits to the profit of the National Deposit Guarantee Institution. Beirut is the capital of Lebanon and its seat of government. The Lebanese Parliament, all the Ministries and most of the public administrations, embassies and consulates are there. The Beirut Governorate is one of six mohafazat (plural of mohafazah, a state governorate). The others are North Lebanon, Mount Lebanon, South Lebanon, Beqaa and Nabatiye. The city is home to numerous international organizations. The United Nations Economic and Social Commission for Western Asia (ESCWA) is headquartered in downtown Beirut, The Arab Air Carriers Organization (AACO), the Union of Arab Banks and the Union of Arab Stock Exchanges are also headquartered in the city. The International Labour Organization (ILO) and UNESCO (United Nations Educational, Scientific and Cultural Organization) both have regional offices in Beirut covering the Arab world. Higher education throughout Lebanon is provided by universities, colleges and technical and vocational institutes. The American University of Beirut and Université Saint-Joseph (USJ), are the oldest respectively English medium and French medium universities in the country. The Lebanese University is the only public institution for higher education in Beirut. Beirut is also home to the Lebanese American University (LAU), which is also, together with many of its programs, accredited by US bodies and considered lately one of the top universities in the Middle East. LAU also offers an architecture degree equivalent to the French DEA, allowing graduates to practice in the European Union. Beirut is also home to the American University of Science and Technology (AUST), University of Balamand, École Supérieure des Affaires (ESA), Beirut Arab University (BAU), Haigazian University (HU), Lebanese International University (LIU), as well as the Notre Dame University – Louaize (NDU), Université La Sagesse (ULS). Notre Dame University (NDU)'s degrees are becoming more and more valuable with time. NDU received its accreditation from NIASC in 2015. The Directorate General of Higher Education is responsible for managing the university colleges, university institutes and universities in Beirut and nationwide. Among the private secondary schools in Beirut are, College Saint Joseph Antoura, Lycee Abdel Kader Grand Lycée Franco-Libanais, Lycée Franco-Libanais Verdun, American Community School, International College, Collège Notre-Dame de Jamhour, College Melkart, Carmel Saint-Joseph, Collège Louise Wegmann, Rawdah High School, Saint Mary's Orthodox College, Collège Notre Dame de Nazareth, Collège du Sacré-Coeur Gemmayzé, Collège Protestant Français, Armenian Evangelical Central High School, German School of Beirut, and the Armenian Hamazkayin Arslanian College. In October 2013, mim museum, a private mineral museum, opened its doors to the public. It has on display some 1600 minerals from more than 60 countries. mim museum's collection is considered to be one of the world's paramount private collection for the variety and quality of its minerals. A didactic circuit, accompanied by screens showing films and scientific applications of mineralogy, will reveal a world of unsuspected marvels—priceless both from an aesthetic and scientific point of view. Mimodactylus libanensis “mimo”, the fossil of a pterodactyl is featured in a special wing. This one-of-a-kind complete specimen in the Middle-East was found in Lebanon. It is promoted by means of state-of-the-art modern techniques: a hologram, an auto-stereoscopic movie, a full-scale reconstitution and a game “fly with mimo” – an entertainment that delights children and adults. Moreover, mim hosts a thematic exhibition of 200 marine fossils. “Fish’n’Stone” was organized with the collaboration of Mémoire du Temps. Known throughout the world, those fossils were quarried in the Lebanese mountains. The history of the fossil formation is shown through an animation that submerses you in the marine life – a time capsule that takes you in a journey to some 100 million of years ago. Beirut is a main center for the television, newspaper, and book publishing industries. Television stations based in Beirut include Télé Liban, LBC, ÓTV (Orange TV), MTV Lebanon, Tele Lumiere (Catholic TV), Future TV, New TV, NBN, ANB and Saudi TV 1 on 33 UHF and MBC 1, MBC 4, MBC Action, Fox, Al Jazeera, Rotana, OSN First, OSN News, Al Yawm and Arabic Series Channel on 45 UHF. Newspapers include An-Nahar, Al Joumhouria, As-Safir, Al Mustaqbal, Al-Akhbar, Al-Balad, Ad-Diyar, Al Anwar, Al Sharq. Newspapers and magazines published in French include L'Orient Le Jour (since 1971), La Revue Du Liban, Al Balad-French Version, Al Intiqad, Magazine L'Hebdo and La Commerce Du Levant. English newspapers published in Beirut are The Daily Star, Executive Magazine (weekly), Beirut Online, Beirut Times (weekly) and Monday Morning. The Lebanese capital hosted the Mediterranean Games in 1959, FIBA Asia Champions Cup in 1999, 2000, 2012, the AFC Asian Cup in 2000, and the FIBA Asia Cup in 2010. Beirut was the host city for the 6th Annual Games of the Jeux de la Francophonie in 2009. Beirut also hosted the Pan Arab Games in 1957, 1997, and did so again in 2015. In 2017, Beirut will also host the 2017 FIBA Asia Cup. Beirut, with Sidon and Tripoli, hosted the 2000 AFC Asian Cup. There are two stadiums in the city, Camille Chamoun Sports City Stadium and Beirut Municipal Stadium. A number of international fashion designers have displayed their work in big fashion shows. Most major fashion labels have shops in Beirut's shopping districts, and the city is home to a number of local fashion designers, some of whom like Elie Saab, Yara Farhat, Reem Acra, Zuhair Murad, Georges Chakra, Georges Hobeika, Jean Faris, Nicolas Jebran, Rabih Kayrouz and Abed Mahfouz have achieved international fame. Beirut is also the home for a dynamic street art scene that has developed after the Lebanese Civil War, one of the most notable street artists is Yazan Halwani who is known to produce the largest murals on the walls of Beirut in areas such as Gemmayzeh, Hamra, Verdun and Achrafieh. Beirut was named the top place to visit by The New York Times in 2009, and as one of the ten liveliest cities in the world by Lonely Planet in the same year. According to a 2010 study by the American global consulting firm Mercer comparing high-end items such as upscale residential areas and entertainment venues, Beirut was ranked as the 4th most expensive city in the Middle East and 15th among the Upper Middle Income Countries included in the survey. Beirut came in first place regionally and 10th place internationally in a 2010 study by "EuroCost International" about the rental markets for high quality housing. The 2011 MasterCard Index revealed that Beirut had the second-highest visitor spending levels in the Middle East and Africa, totaling $6.5 billion. 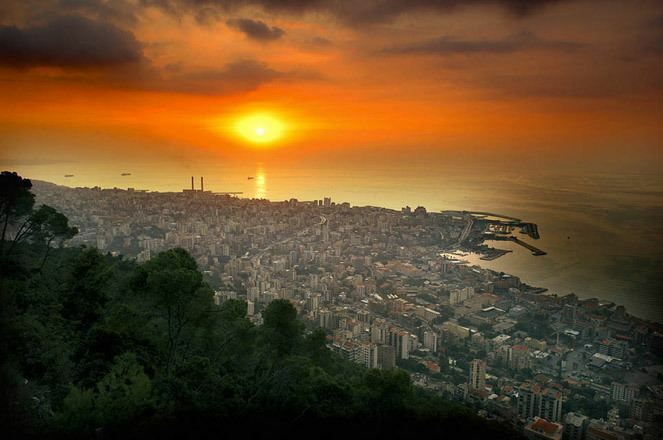 Beirut was chosen in 2012 by Condé Nast Traveler as the best city in the Middle East. In 2013, Condé Nast Traveler ranked Beirut in the top 20 best cities in the world. On 7 December 2014, Beirut was selected to be among the New 7 Wonders of Cities, along with Doha, Durban, La Paz, Havana, Kuala Lumpur and Vigan. The campaign was held by New 7 Wonders. In 2016, Yahoo listed Beirut as the best international city for food. Travel and Leisure ranked Beirut in the top 15 World's best cities.